Summer is coming to a close, but we won’t let that slow us down! 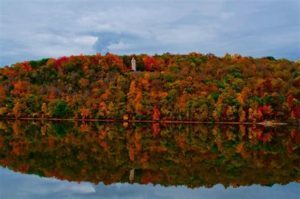 From Family Weekend at White Pines Ranch to canoeing down the Rock River to enjoy the fall foliage, our area has everything you are looking for to beat the back to school blues! Whether you are from Oregon or visiting from afar, find out for yourself what makes us uniquely Oregon by exploring the activities below. 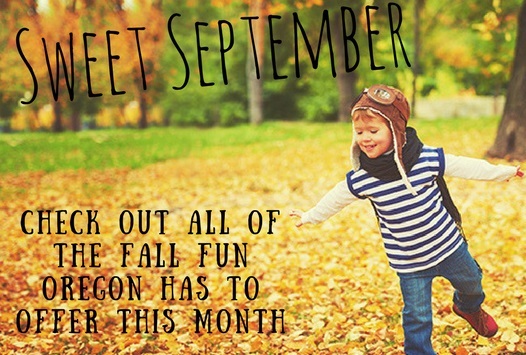 To view all of Oregon’s visitor information, activities, shops, etc., click here. The entire family is invited to experience western-style dude ranching for a weekend. While White Pines Ranch has created an end of summer family weekend – for the kid in all of us! The goal of the weekend is for your family to focus on enjoying the time together – we take care of all the cooking, cleaning, activity leadership, and other preparations! Pack up the minivan and head out to beautiful Oregon, IL (just 90 miles west of Chicago) where you will enjoy horseback riding, hiking, fossil hunting, grooming and saddling horses, meeting new friends and much more. In the evening you will enjoy hayrides, country line dancing, bingo and singing around the campfire. Click here for more information and how to register. Sunday, September 2, 2018 6:00 p.m. – 11:00 p.m. 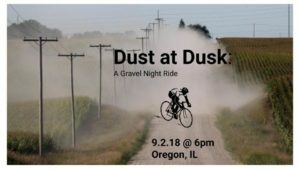 The second annual Dust at Dusk!, which features an all-round gravel cycling experience with a little something for everyone. 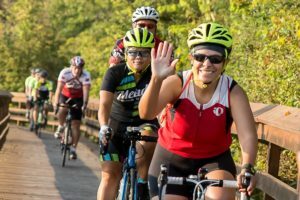 With 50 and 28-mile options, the hope is to bring as many cyclists into the night as possible to experience the beautiful rural roads of Ogle County There’s a good sized crowd planning on going, so grab a friend to join them, or just come to meet new friends. Post party at Franklin Street Pub from 8p – 11p. Be sure to read the details, including route maps, before arriving. Saturday September 8, 2018 4:30 p.m. to 8:30 p.m. Sponsored by the Oregon Rotary Club, this evening promises unique entertainment that you won’t find anywhere else! 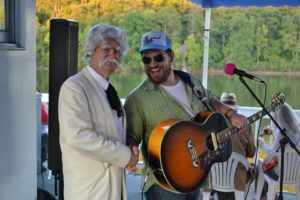 Included in the price of the ticket are the following: Paddlewheel boat rides, live music, hog roast, comfort food, pies, ice cream, and all while Mark Twain strolls through the crowd. Pig roast, dinner, and homemade pie will be served on the deck from 5:00-7:00 p.m.
Tickets are $15 for kids 6-12/$30 for adults and can be purchased at the door, or in advance at Maxson’s, at Scott Stephens’ State Farm 500 Gale St. in Oregon, or from your local Rotarian. All proceeds from this event will provide coats and boots to kids in our local schools. 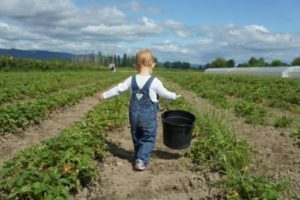 Sunday September 9, 2018 12:00 p.m. to 5:00 p.m. Fresh from the farm… first hand. YES!, The University of Illinois Extension does some really cool things! The Extension will host this free, family friendly event to satisfy your local food cravings and curiosities! There is no beginning or end, just choose which farms to see and hit the road. Satisfy your local food cravings and curiosities on farms that grow your food! The Stroll is free, but be sure to bring cash for food and activities at the farms. Click here to view a complete listing of all the participating stops and additional information. You may visit any location during the 12:00 p.m. to 5:00 p.m. event. Sunday September 9, 2018 9:00 a.m. – 4:00 p.m.
John Deere Historic Site 8334 S Clinton St. 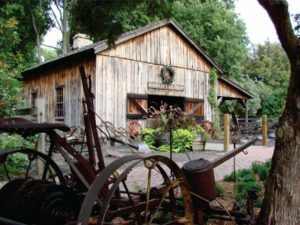 Celebrating its 70th year, one of Illinois’ oldest art festivals held annually the first Sunday following Labor Day on the grounds of the beautiful John Deere Historic Site. Around 1900 the natural allure beckoned students from the Art Institute of Chicago to Grand Detour. Dixon native Charles Kested started what would become the Grand Detour Arts Festival. Stroll the grounds enjoying many artists, student art show, blacksmith demonstrations, John Deere’s restored home, food, and music. This is a juried show with cash prizes. 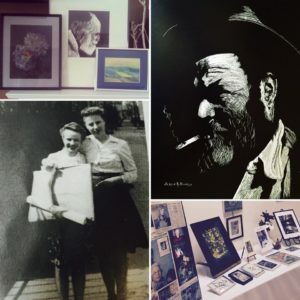 Check out this link for a sneak peek of local art that will be available for purchase and updates on the Festival. 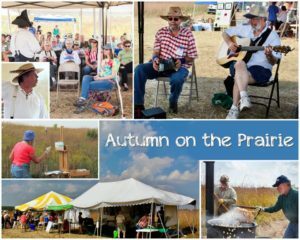 Nachusa Grasslands is #Illinoisproud to celebrate our state’s prairie heritage during its annual Autumn on the Prairie Festival. View the Bison herd on “Look for Bison” tours. Other experiences include guided hikes, food sales, live raptors, nature exhibits, children’s activities, music, artists, local vendors, and more. Click HERE to view a full schedule of events and parking information. Thursday September 13, 2018 6:30-7:30 p.m. If you are trendy and want to have the popular succulents in your home or office or to give as a gift, this class is for you. A unique way to plant a succulent garden is in a wine bottle. Wine lovers will love this table accent. Tyler Hagemann, Merlin’s Horticulturist, will explain the versatility of succulents, the different types of succulent plants, techniques for planting and caring for your new indoor garden! 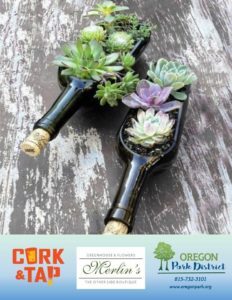 Come prepared to get your hands dirty and plant your very own wine bottle succulent garden. You are free to enjoy the beverages of your choice from Cork & Tap, but those expenses are on your own. Register for this class at Nash Recreation Center or over the phone at 815-732-3101 Sawith credit card, or online at www.oregonpark.org on or before August 30th. Seating is limited. Park District resident class fee is $32 and the non-resident fee is $38. Sign up today for this low maintenance gardening class. Saturday September 15, 2018 6:30 p.m. – 10 p.m.
An event for mamas to find their mom tribes! Need a mom friend? Find her fast at the Mom Friend Speed Dating Party! Here’s how it works: First, you’ll share some light snacks and mingle in the lounge. 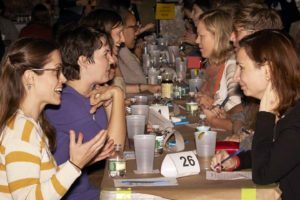 Then you’ll get a chance to meet one-on-one with other moms from the area in speed rounds. You only get four minutes with each mama, so ask your most pertinent questions (i.e. are you a wine & paint night or a beer & live music kind of girl!?) Not sure what to ask? No worries — you can use the Conversation Cards to help you get started! After each round, you’ll decide if you’d like to Mom Date again and mark your answer on your Date Card before you switch partners. At the end of the night, you’ll receive contact info from anyone you match with! When the speed rounds are over, the music begins! Kick off your new mom-friendships with a karaoke dance party featuring Midnight Sound Productions!!! Tickets are $22.75 if you sign up at the studio (just $20 for Club Members)! Admission includes hors d’oeuvres by Hazel’s, 2 drink tickets, Speed Rounds and a karaoke/dance party featuring Midnight Sound Productions! Advanced ticket purchase required by September 1, 2018. Byron Forest Preserve is offering this opportunity to take a scenic two-hour guided tour of the Rock River National River Trail from the Oregon spillway to Castle Rock State Park. You will view the area’s many unique St. Peter sandstone rock formations and miles of hardwood forest along the most scenic stretches of the Rock River National River Trail. There must be at least one adult per canoe and no more than three people per canoe. $10 per person fee, paddlers must be 12 years and up. Please register by September 19th Register HERE or call 815-234-8535. Saturday September 22, 2018 Registration opens at 7:00 a.m.
Join hundreds of other riders for our third annual Tour of Scenic Ogle County (TOSOC). You will experience beautiful scenery along the banks of the Rock River, Nachusa Grasslands and Lowden-Miller State Park. Prepare to see wildlife sighting of bison, eagles, red-tailed hawks, and great blue herons. Relax and recharge as you enjoy the well-marked routes on quiet paved country roads. All proceeds go to Village of Progress, a non-profit that provides work-training services for adults with disabilities in Ogle County. Find out more by checking out TOSOC on Facebook! @ Cork & Tap, 305 W. Washington Street in Oregon, IL Free to the public. Please join us in the Gallery room at Cork & Tap on September 28th at 6:00 p.m. for the opening reception celebrating a retrospective collection of the late Jessie B. Hinkle. Jessie was an avid promoter of the Oregon art community and an accomplished artist with a distinct vision. Her work was featured in shows and print throughout the United States. This show is sponsored by Oregon Together, with the collection provided by her family. The exhibition will be open to the public to view at no charge for several following weeks.